New Lego book coming out from DK. 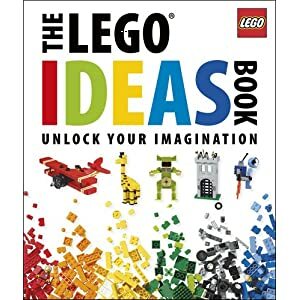 I was a huge fan of The Lego Book and look forward to this as well. I've pre-ordered it. Can't wait for it to come out. Eh, I'm not too thrilled, especially when LEGO makes a poor quality DK starwars dictionary thingy, one that I really feel was for the ages 4 - 8. These "ideas" on the cover don't look to be my style, I don't build sculptures. OK, I'm going to bump this back to the top because it's currently $15 on Amazon for the pre order. Anyone have any opinions about it? Or should I wait to see it in a store? Any sneek peak of what is inside? If the book is packed FULL of examples like that, it could be a very good book for most builders. There's some neat little touches in just those three pages alone. Ordered mine and it looks great for the young builder and tips for me as a novice Afol builder too! I pre-ordered mine ages ago - I had no idea what it was about, but have yet to be disappointed by a DK LEGO book. Based on this feedback, I think I'll go ahead and order it. Only £10 (and 2 pence???) on amazon.co.uk on pre-order. Looks pretty neat, but don't know if I'd actually get round to building anything inside. But as a kid (cough cough) I'd spend ages just flicking through the lego catalogues looking at the pictures! I'm looking forward to it, hoping it will curb my shopping and push me to building again! I seem to spend about as much time buying as I do building at the mo. i ordered this on amazon yesterday and it says it shipped today....i thought it was not available till sep 19th? just ordered mine, and despite the later release date, it was listed as in stock. same for the new lego star wars character encyclopedia. will post more when i have the book in hand.